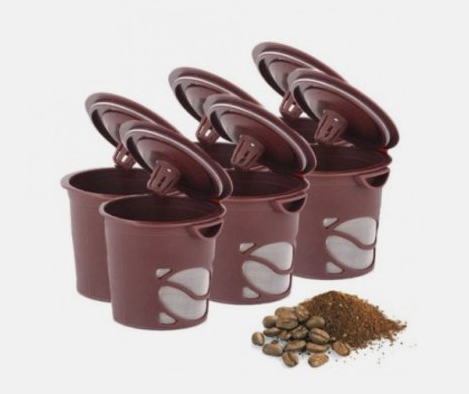 6 Pack Reusable Single Brew Coffee Pods Just $9.99 Shipped (Reg. $19.99)! You are here: Home / Great Deals / 6 Pack Reusable Single Brew Coffee Pods Just $9.99 Shipped (Reg. $19.99)! Calling all Keurig owners, have I got a deal for you! You can snag this 6 Pack Reusable Single Brew Coffee Pods for only $9.99 Shipped (Reg. $19.99)! Such a HOT deal considering one of these alone goes for about $15+ (at least that’s what I paid for mine, lol)!